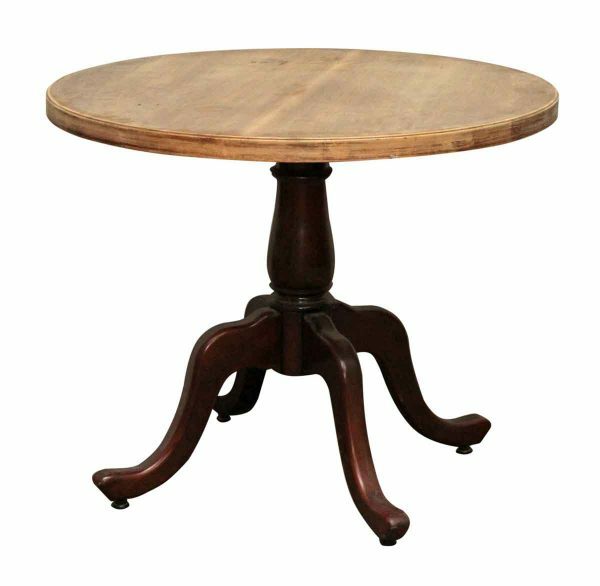 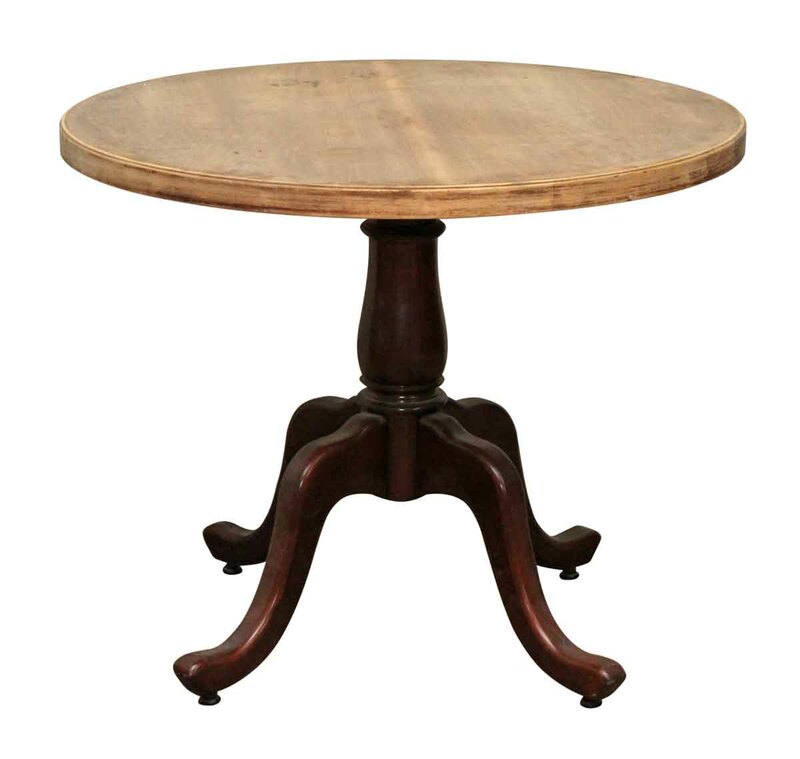 Wheeled wooden base table in the Queen Anne style. 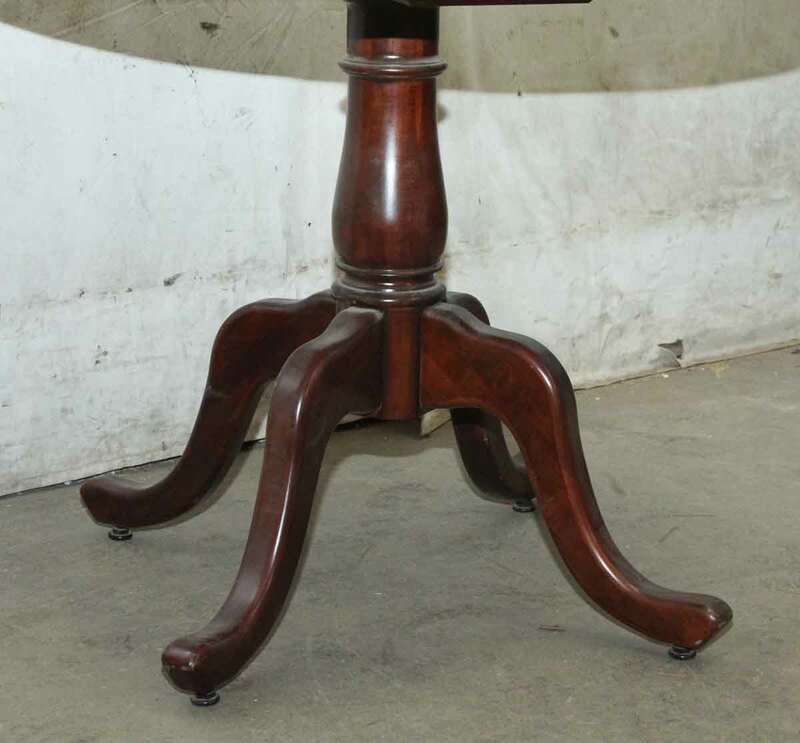 It appears to be mahogany. 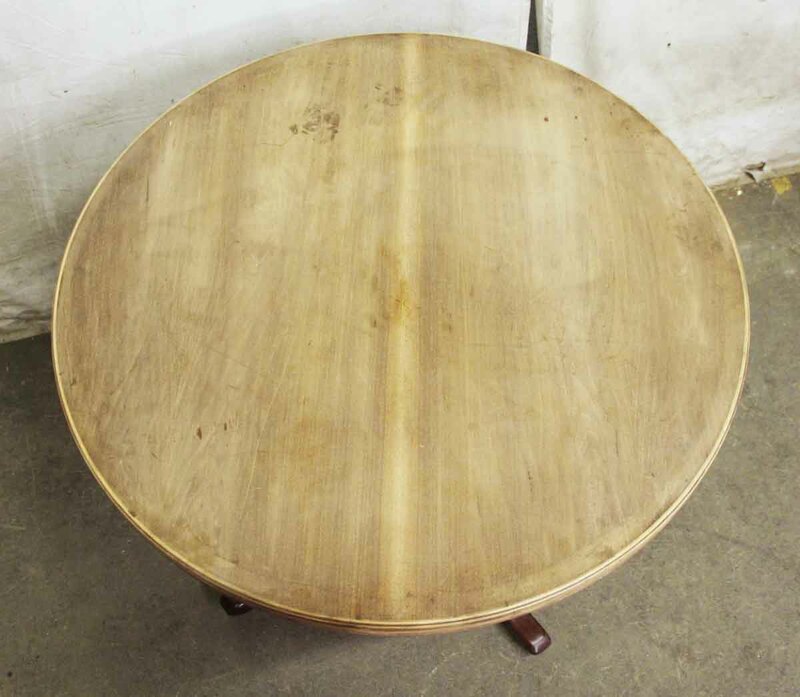 The top is a light wood that does not look original to the base.